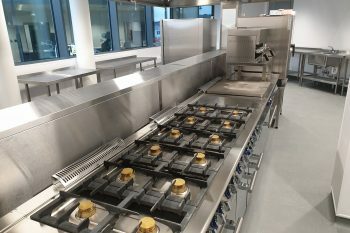 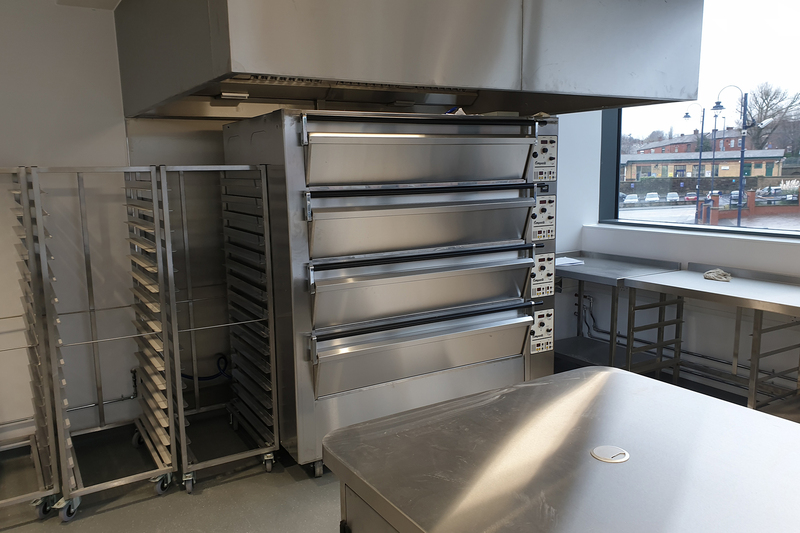 A massive, specialist teaching school purpose-built for the next generation of bakers, chefs and chocolatiers. 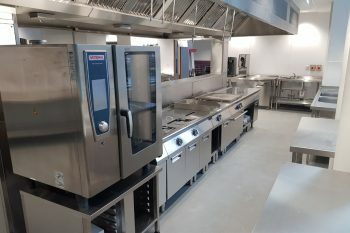 Our work on Vision has not only spanned a decade, but also the breadth of the many services we offer, thanks our team securing both the design and installation packages of this massive project. Putting together the original design brief and specification back in 2015, Business Development Director Andy Brown worked tirelessly with the client as well as the many architects, M&E firms and sub-contractors to develop the designs of the 7,000m 2 space. With site work beginning in 2017, Vision Tameside was one of the first opportunities to test our design facility’s BIM-readiness and is a benchmark of how far our 3D design capabilities have progressed. 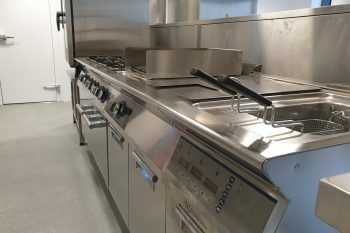 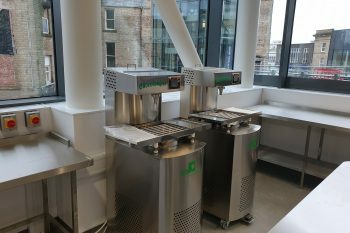 The college teaches everything from bistro catering to fine dining and banqueting, as well as offering courses for aspiring bakers, chocolatiers and pastry-chefs; with such a vastly broad curriculum, an equally massive amount of time had to be spend considering the equipment specification. 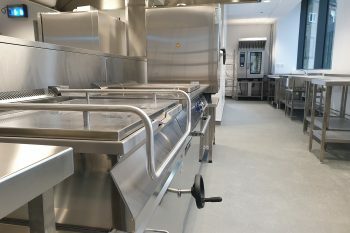 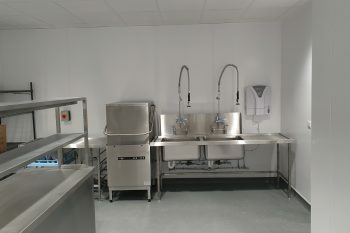 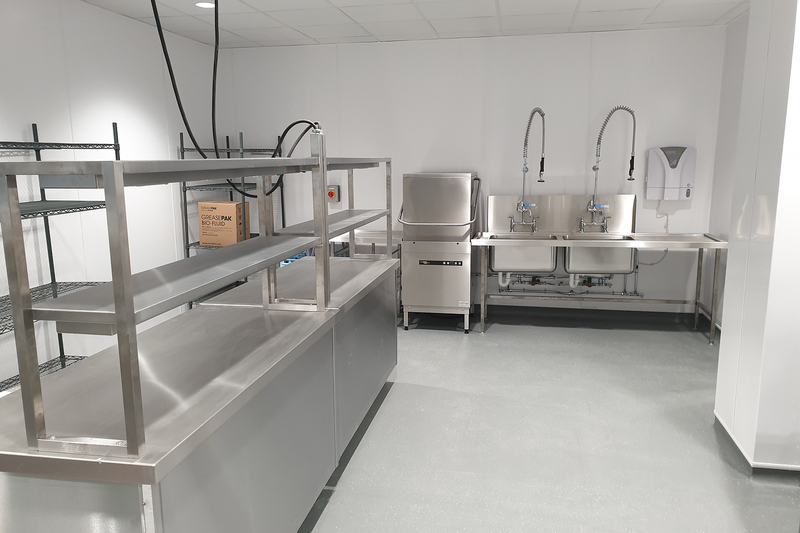 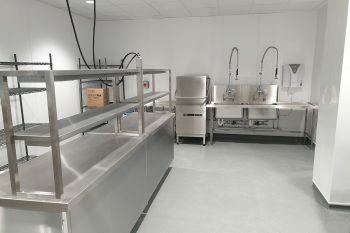 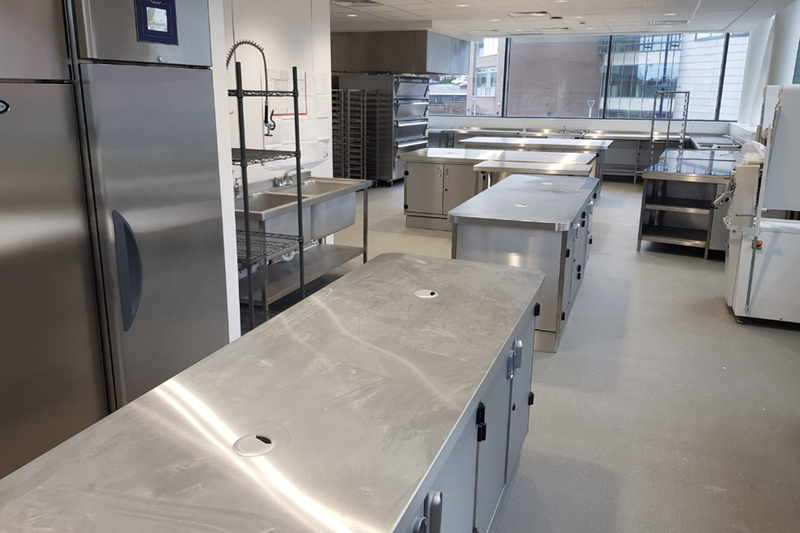 We worked on over ten catering areas in the Advanced Skills Centre, including two teaching kitchens, a bistro restaurant, fine dining restaurant, specialist cake, chocolate and bakery workroom as well as countless dry stores, cold rooms and walk-in freezers. Ensuring everything was adequate to both a contracting level as well as a teaching school standard required close relationships to be formed with existing and new suppliers. As with any project that spans a decade – much equipment was chopped and changed as the project developed, requiring sound knowledge of the products, contracts, services and designs throughout Garners and our sub-contractors. Upon the project moving forward, Andy Brown’s role as the Design Lead became a supporting role to Contracts Director (Designate) Jonathan Meats, who played the role of Project Manager. With over 650 items and spanning 3 floors and 8 areas, sound management of this huge project was key to it being delivered on time and within budget. 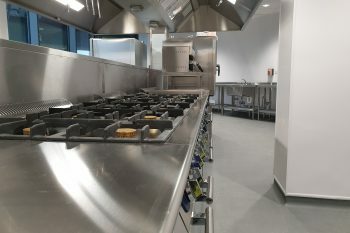 With hundreds of other contractors on-site looking to move in and fulfil their contracts during the four-year build, it would have been all-too-easy to adopt a cavalier attitude to finding we weren’t able to get on site and hit our deadlines. 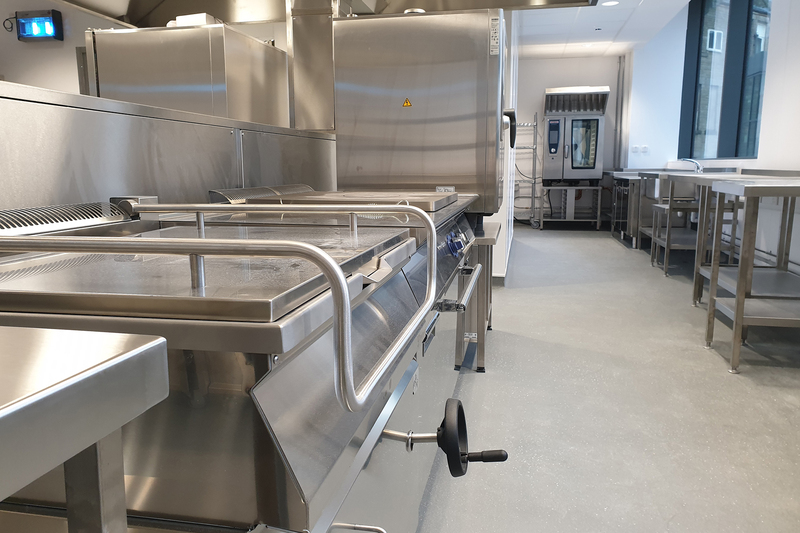 Luckily, Garners’ most experienced Project Manager was no rookie to large-scale installations and ensured our part of the overarching project moved in tandem with the build as a whole. 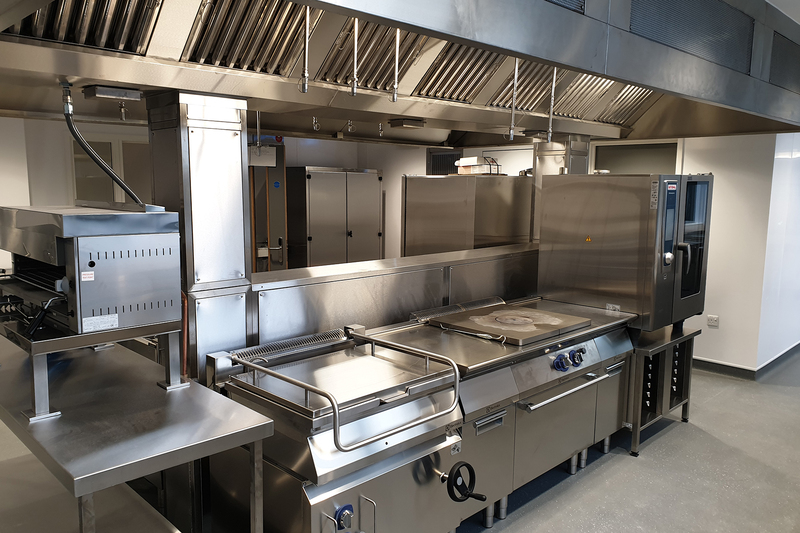 Moving our own qualified catering engineers on-site following regimented project roadmaps, our part of the project moved in-sync with the main contractors’ plan and allowed Garners to maintain good relationships with the entire project’s workforce. 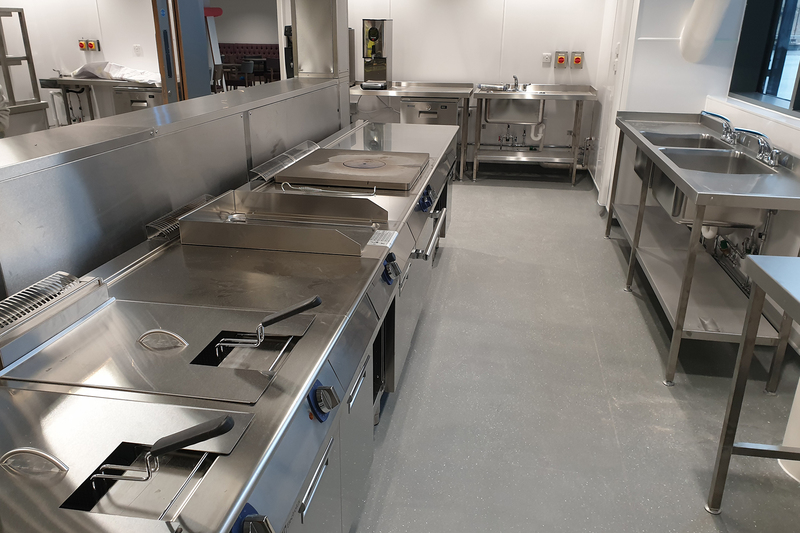 Although the site has only been in use for a month, our specialist service staff have spent days, if not weeks, on the project’s maintenance and aftercare requirements. 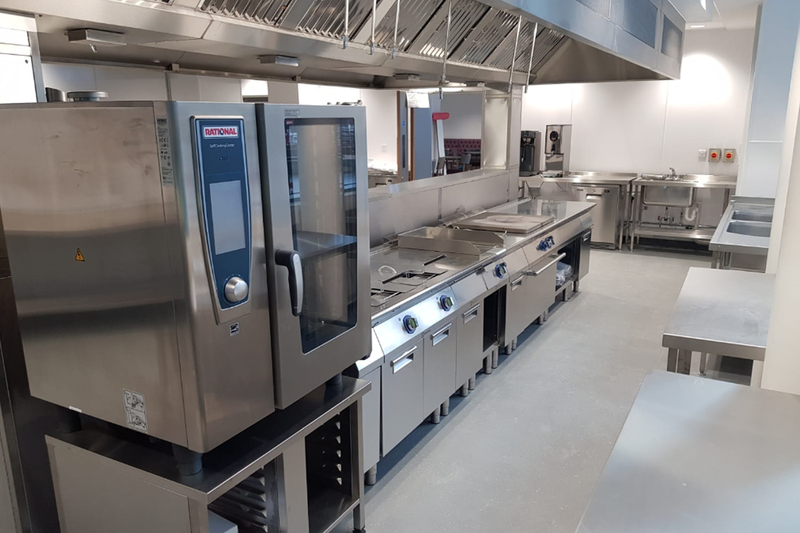 Rather than reactive repairs, this is actually in reference to the hundreds of product manuals,specifications, user guides and maintenance projections our staff have put together to help the college get the most out of their vast catering department. 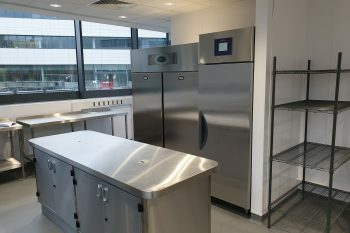 Tailored PPM agreements were supplied to offer the college the best pro-active service possible, to avoid any malfunctions or gaps in teaching that would damage the organisation’s reputation. Being brand new, much is expected of the development (and its alumni) and we therefore did the utmost to keep them at the centre of all client services. 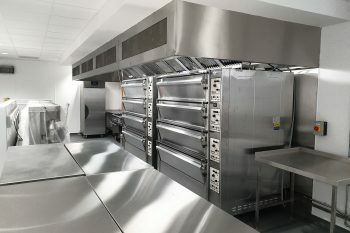 Thanks to our use of Revit, our 3D design department was able to work with our Service Team (as well as the main contractor) to provide realistic estimates of the annual energy that the facility would require, as well as transparent projections of the products’ shelf lives, in order to offer the client a forward-thinking service and consider their future spend. 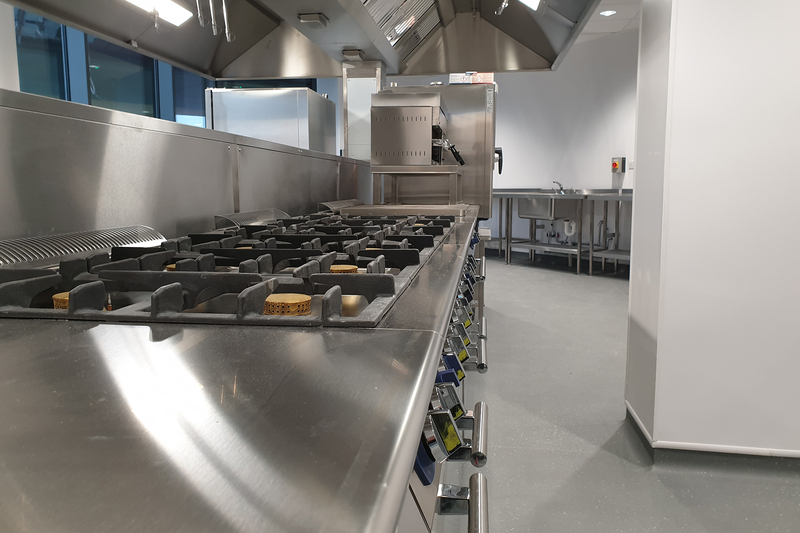 Many Garners staff members put in a huge amount of energy over the past 4 years to see this project get to where it currently is and we’re very proud to see their work come to fruition.